Peanut Butter's friend had her 2nd birthday party this weekend. I wanted to make her something fun so she could help her Mommy in the kitchen. 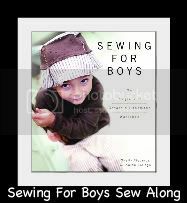 I followed this pattern from Homespun-Threads. 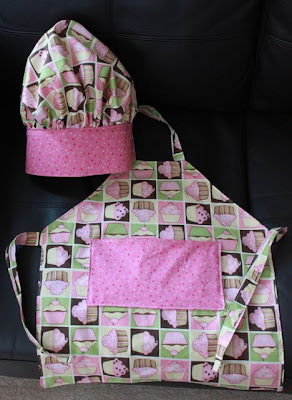 I used her size guide for the apron but changed the pocket and followed her fantastic directions for the hat. It was so easy. I got to use my gather stitch again. I love all the projects I have been making lately, I am really learning a lot. 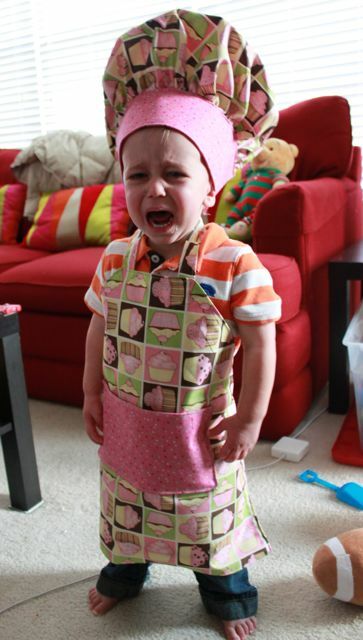 I asked PB to try on the hat and apron. He cried, but I took pics anyway :) He was happy to put the apron on but I think it was the hat that made him sad. My favorite part is the yummy fabric. I am craving cupcakes now!